A new type of quiz book – for your eyes only. Who R U? Time to quiz… and tell if you dare! This unique quiz book combines tons of themed quizzes with fab activities and scrapbook pages for drawing, writing and creating. There are six cool themed sections all about you: ‘mystatus’, ‘myswag’, ‘mybesties’, ‘myplaylist’, ‘myschool’ and ‘myfuture’. Plus quizzes and activities such as ‘What kind of tester R U?’, ‘What’s Ur Fashion Persona?’ and ‘Crushing Hard or Hardly Crushing?’ You’ll love the super-cool American approach you know and love from your favourite TV shows. Share these quizzes with your friends. Or do them in secret all by yourself! Quite boring, who would write about themselves. I certainly wouldn’t. 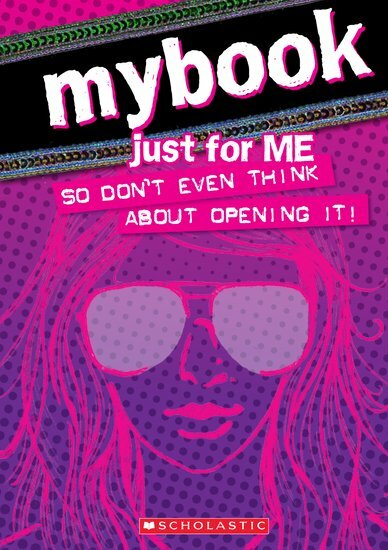 MyBook is a really cool book it is full of different types of activities to keep you busy like you can write about what you are a fan of, what are you going to do in the future, do you have any crushes?..... You can also keep your secrets but make sure nobody take a peek in your diary. Why don’t you give it a try!